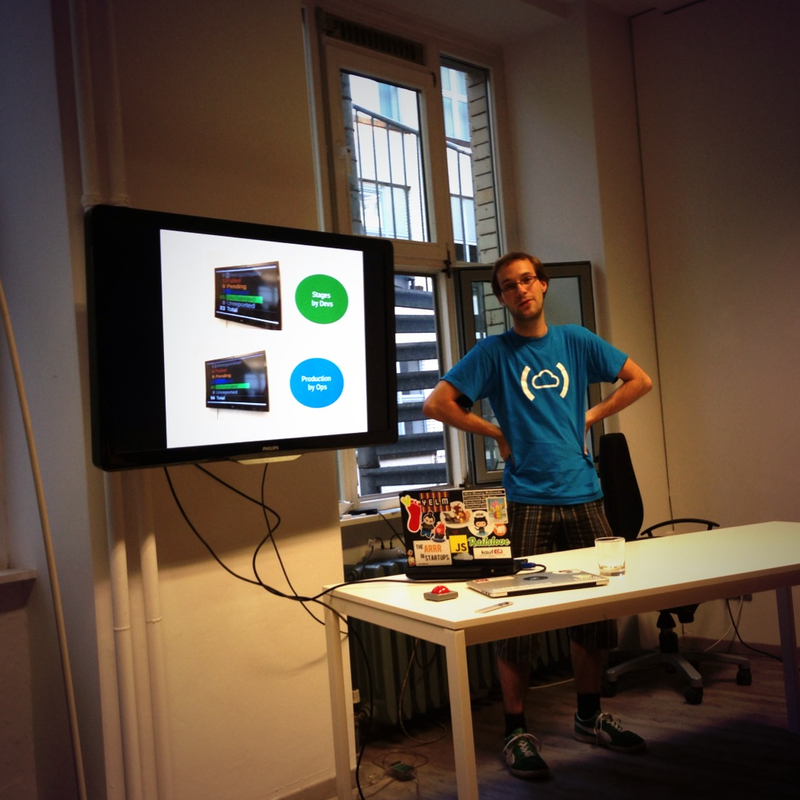 During the summer 2013 I started the Geek2Geek MeetUp in Berlin. I started it because I wanted to have a MeetUp which doesn’t have a strong focus on 1 single programming language. Instead of that I did it the other way around. at Geek2Geek we pick one single topic for every MeetUp and we invite speakers from different communities to talk to the topic. And we had 2 more awesome speakers. 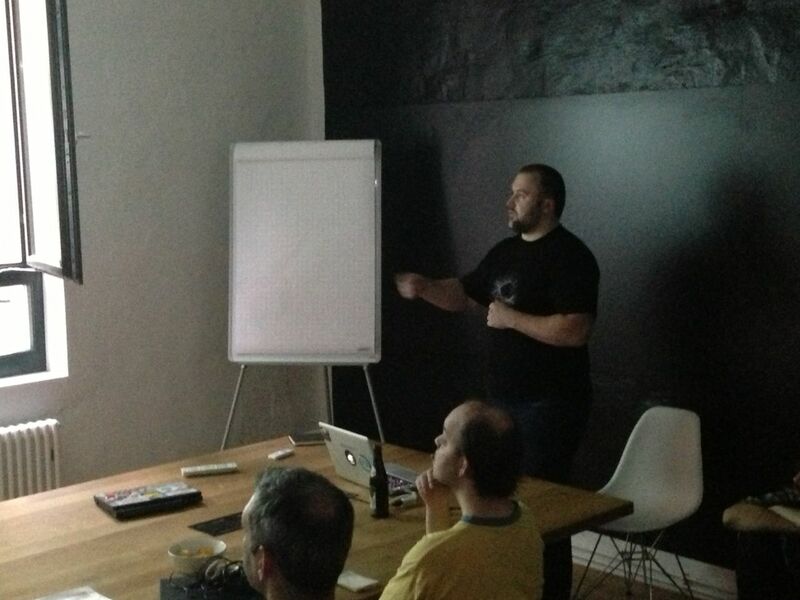 Christoph Beckmann from KaufDA showed us how they manage their IT Infrastructure with Puppet in a Java ecosystem. 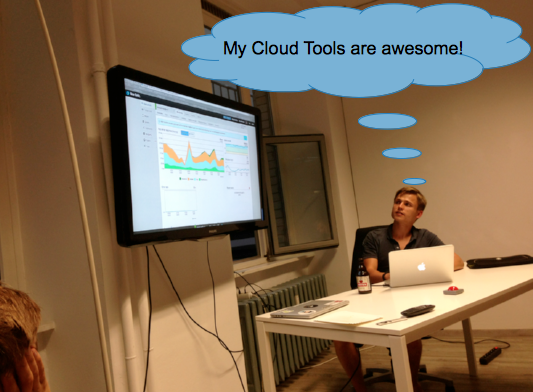 After a couple beers Tobias from Blinkist showed us how their manage they infrastructure in the cloud without any DevOps. And because the first one was a huge success and a lot of fun we did it 1 month later again! This time we did it at KaufDA. 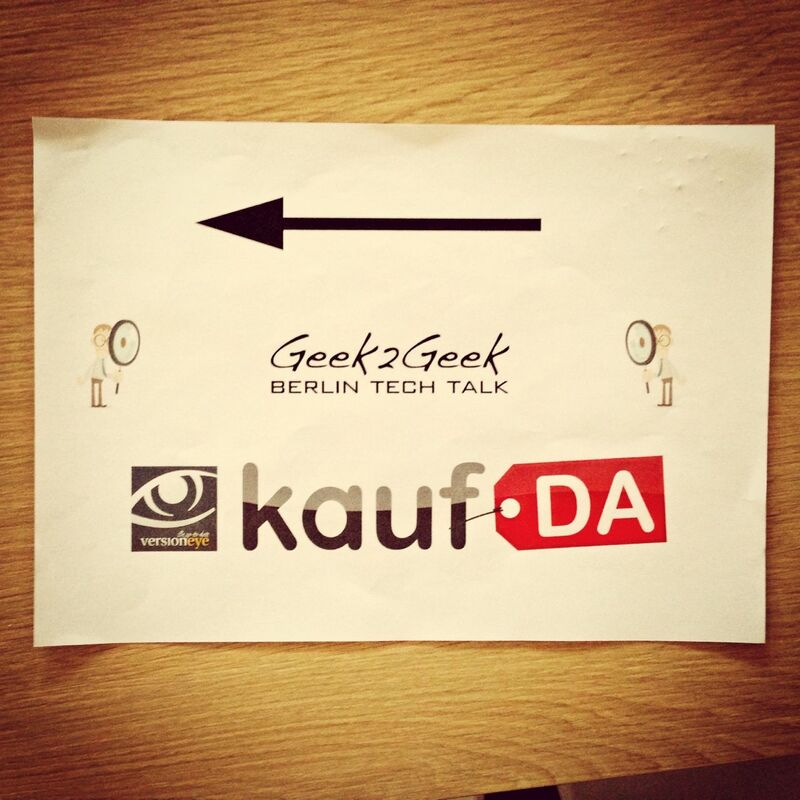 Many Thanks to KaufDA for hosting the 2nd Geek2Geek event in Berlin! 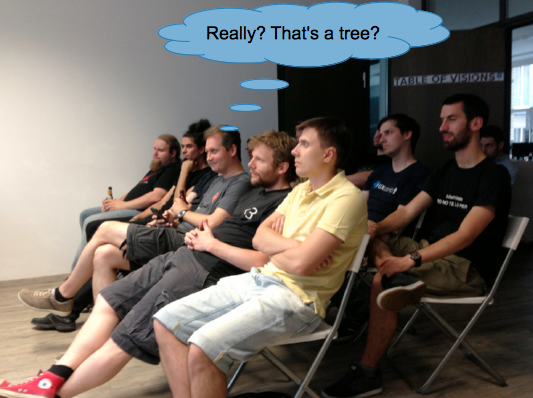 At the 2nd G2G MeetUp the topic was “Non Mainstream Languages“. 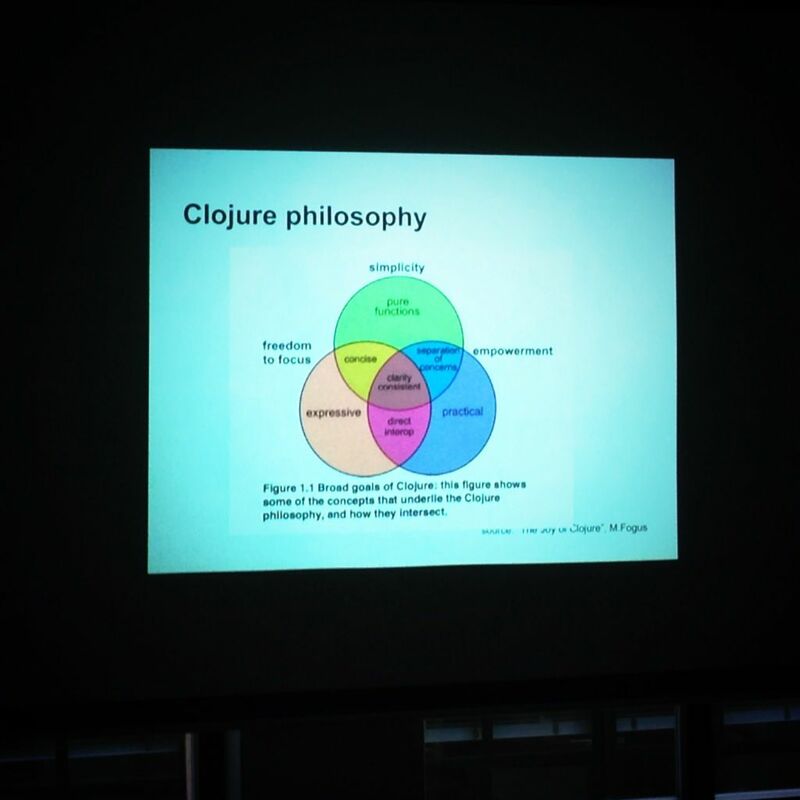 Timo started with an introduction to Clojure. 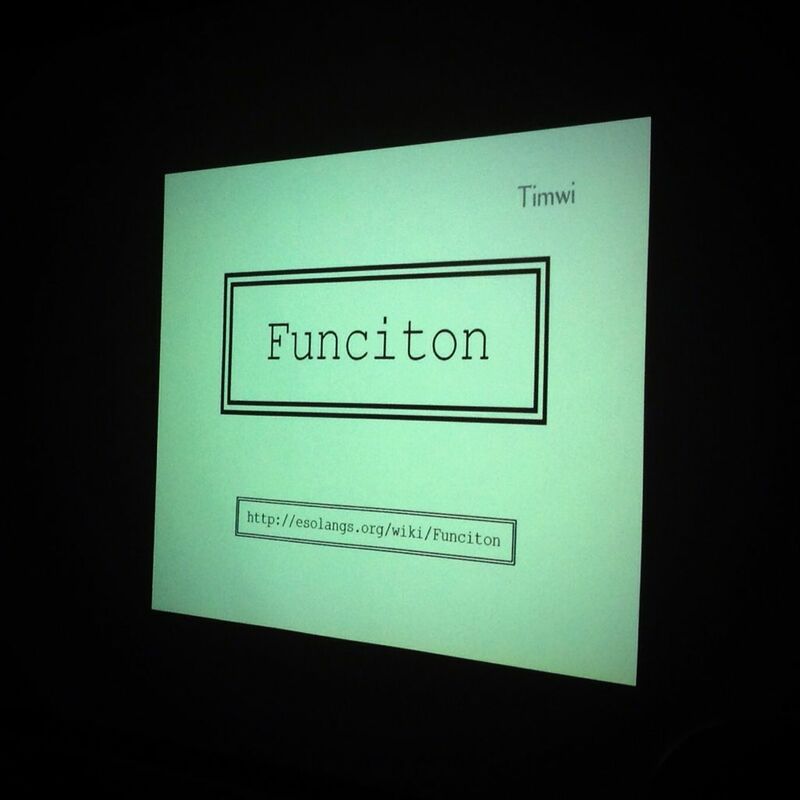 Timwi did an awesome presentation of Funciton, the esoteric language with only 4 instructions. 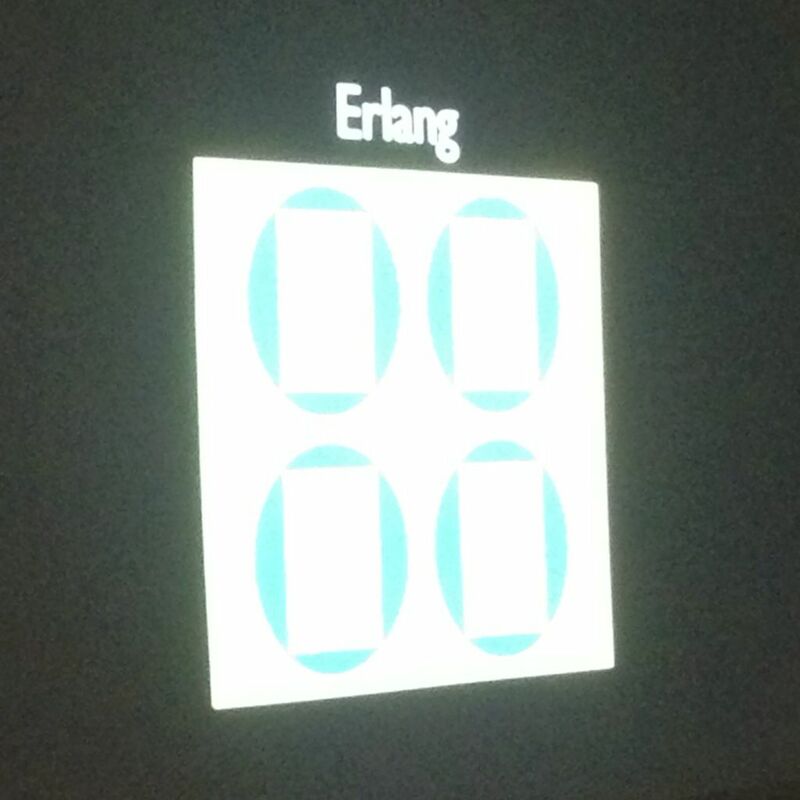 After a break Paolo gave us an introduction to Erlang. A powerful language which powers many databases and the backend of big gaming companies. The last talk was about Go from Peter at SoundCloud. 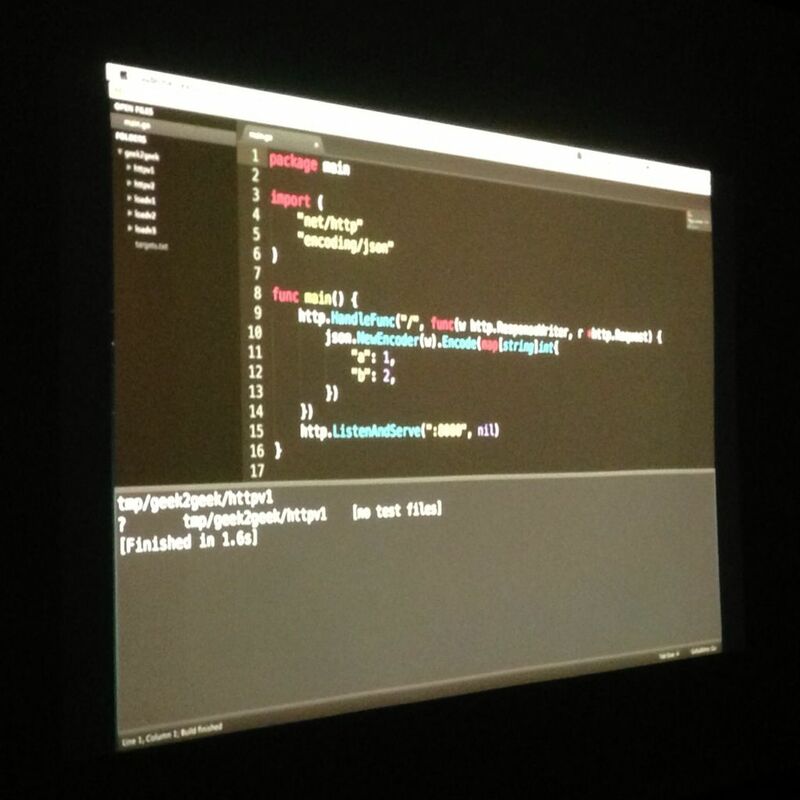 He gave us a really good intro with some live coding. 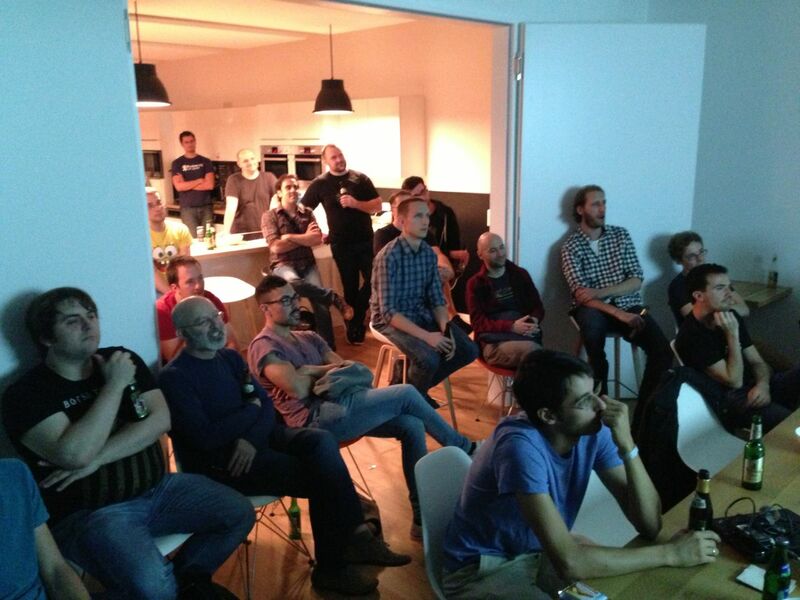 The kitchen + meeting room at KaufDA was full packed with people. And people with different backgrounds started again to talk with each other. They started to exchange ideas and we continued our discussions in a Bar in Friedrichshain, Berlin. 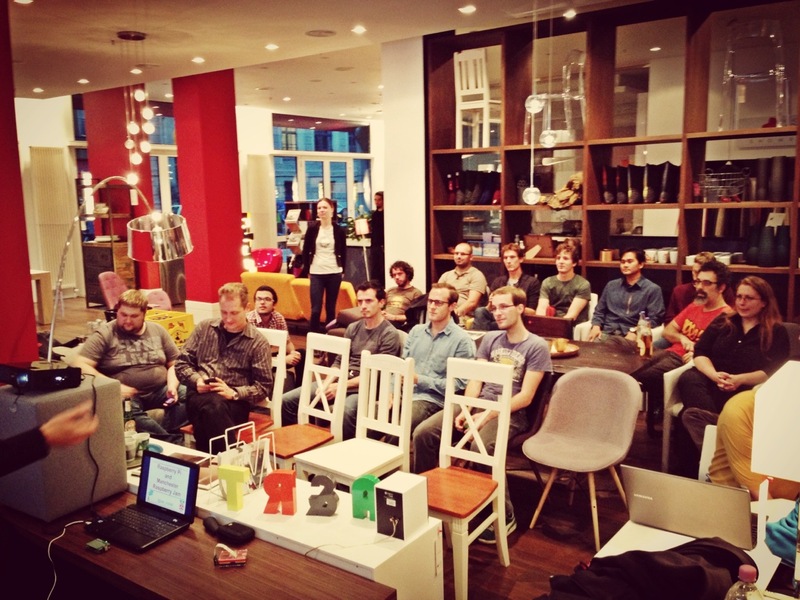 The last Geek2Geek MeetUp was roundabout 1 month ago, hosted by Fashion4Home. 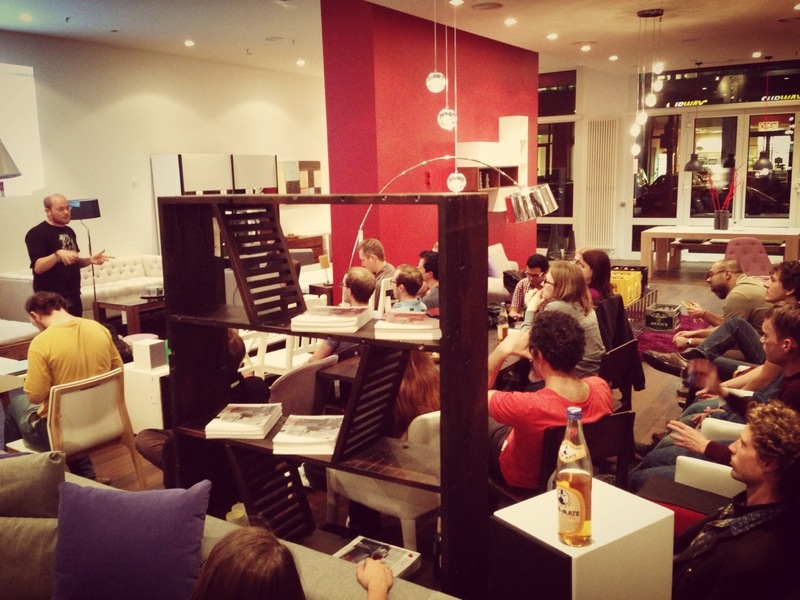 And we had an very unusual venue 🙂 It was the furniture show room of Fashion4Home in Berlin. A really awesome location for a tech MeetUp! The topic was “Hardware Hacks”. Ben did the first talk about RaspberryPi Jams. 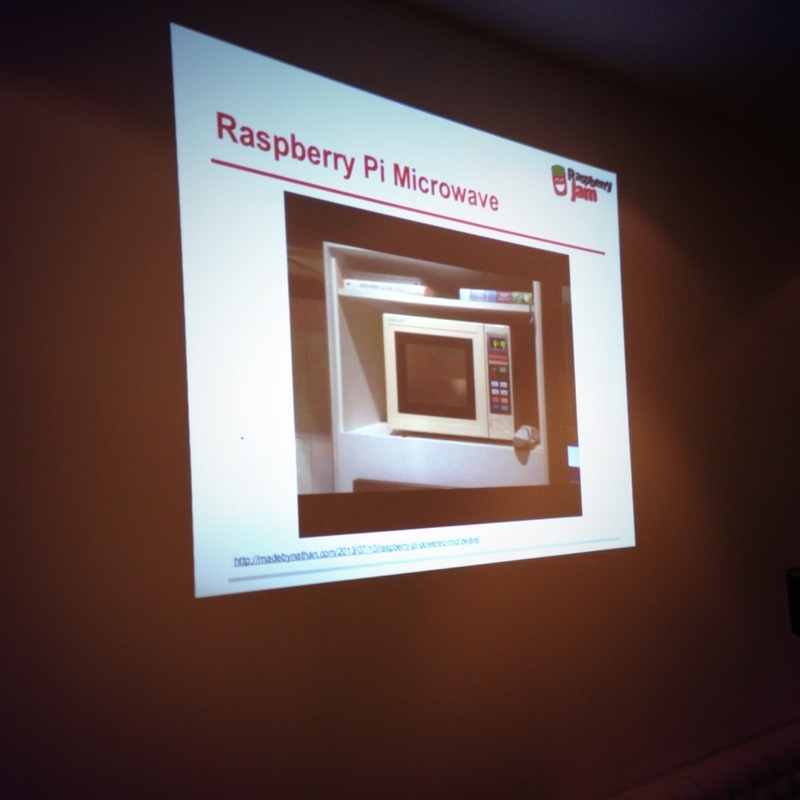 He showed us use case with the RaspberyPi, like the smart Pi Microwave. 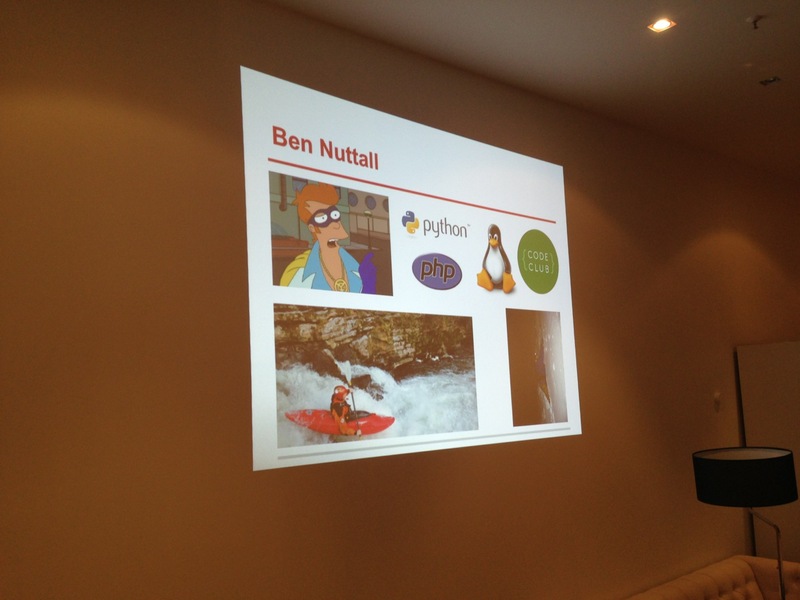 And he gave an intro about the RaspberryPi community in Great Britain. He showed us what kids can do with a little bit Hardware. 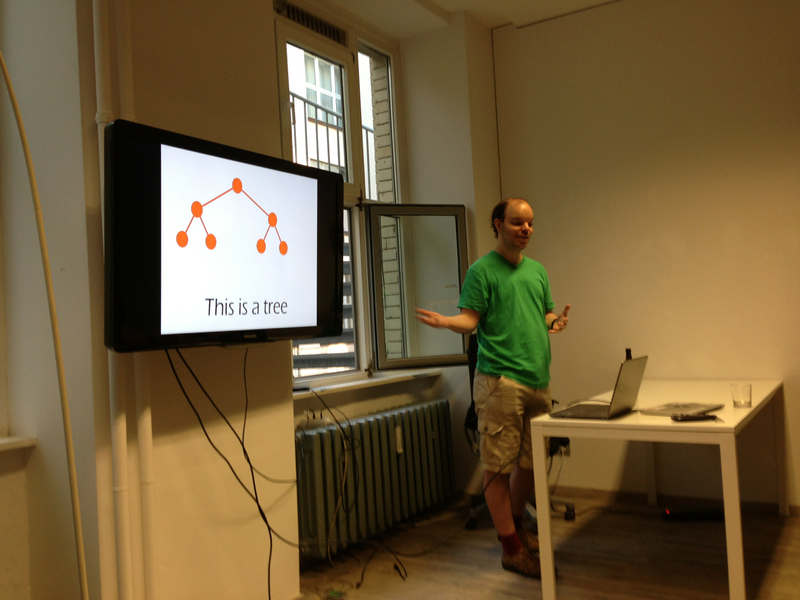 The 2nd talk was from Sam about “Read/write society and reverse engineering of objects”. 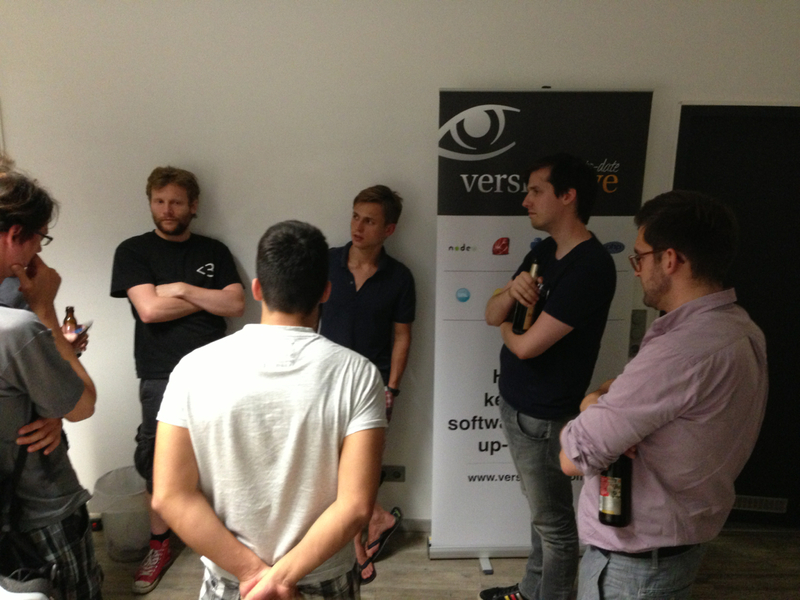 It was a very inspiring talk about Hardware and open source in general. About what we give up if we don’t use open source. 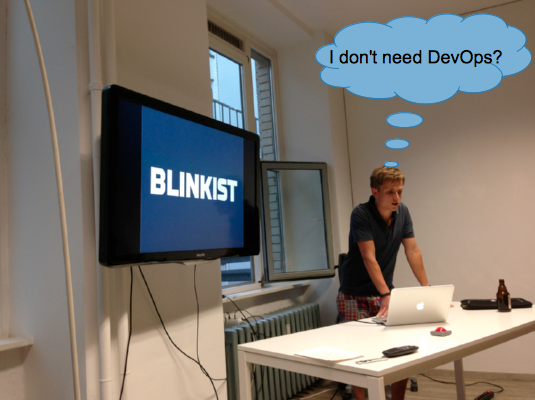 He talked about loosing control by not using open source. 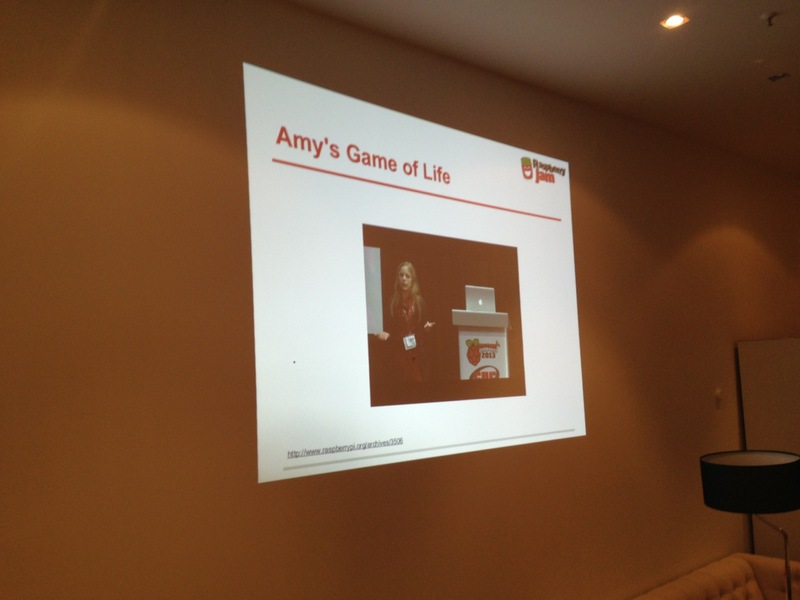 It was a talk which makes me think! 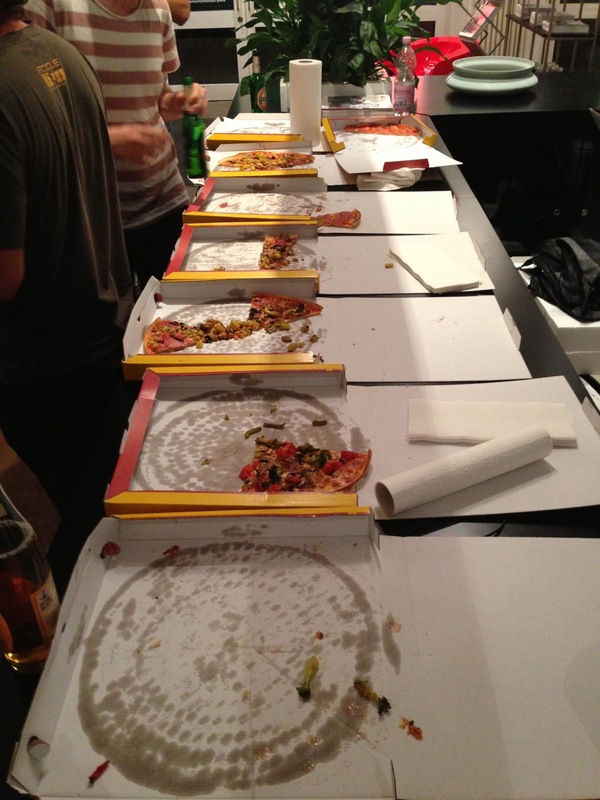 After the 2 long talks we ended again up in open discussions by Pizza and Beers until the pizza was empty. Unfortunately this month (October) we will skip the Geek2Geek MeetUp. I am currently to busy with my StartUp and there are anyways more MeetUps, UGs and conferences in October than in other months. We do again a Geek2Geek MeetUp in November!